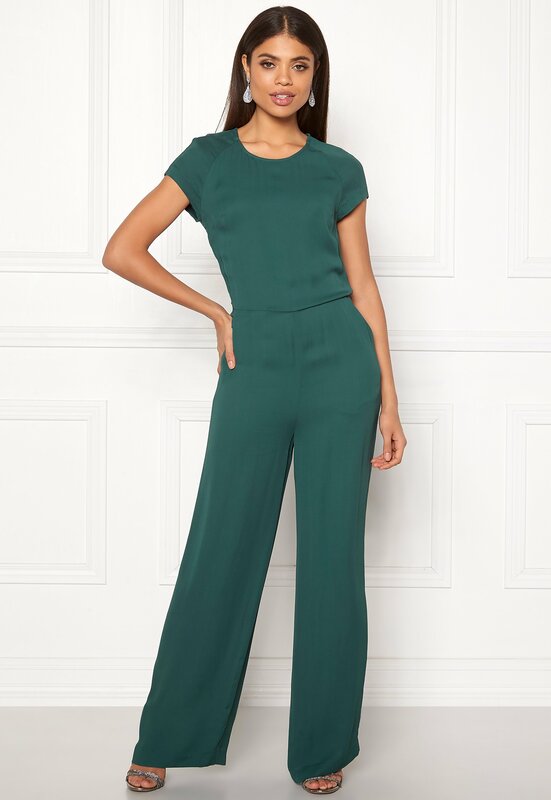 Elegant jumpsuit with lace details from SAMSØE & SAMSØE. The jumpsuit has a lovely, woven quality and is perfect for all festive occasions. - Nonstretch, woven quality - Fancy lace at back - Concealed back zipper - Buttoned opening at back - Two front pockets Back length from shoulder 148 cm, inside leg 77.5 cm in size S. The model is 176 cm tall and wears a size S. Hand wash only.